Manuel Quiñones | Journalism. Media. Politics. Published Tuesday, March 21, 2017 in E&E Daily. This year, the U.S. Chamber of Commerce has released statements favoring the repeal of the Interior Department’s coal mining Stream Protection Rule, and praising the Dakota Access and Keystone XL oil pipelines. When it comes to renewable energy, a recent Chamber blog post about solar energy touts its growth but criticizes state policies that encourage people to install photovoltaic panels by allowing them to sell utilities their excess power. “While the proponents of rooftop solar may get all the attention, it is really America’s utilities that are leading the way with the proliferation of solar use,” the blog said. Even though the Chamber — and its Institute for 21st Century Energy — has been talking more about cleaner power sources, critics and even some business leaders say the group appears to be more in sync with the interests of fossil fuels and utilities. “We have been very disappointed in some of the rhetoric that has gone into some of the blogs,” Dan Whitten, spokesman for the Solar Energy Industries Association, said during a recent interview. Chamber leaders say they don’t believe it’s an “either-or” issue “whether referring to specific sources of energy, or the question of improving the environment versus utilizing energy sources,” said the business group’s spokesman, Matt Letourneau. But Dan Dudis, head of left-leaning advocacy group Public Citizen’s Chamber Watch, dismisses the group’s talk of resource impartiality. Letourneau rebutted that statement, pointing to Chamber actions over the years that have benefited renewables, including backing the production tax credit. The American Wind Energy Association cheered the move in 2012. Still, the Chamber is among many groups that sued U.S. EPA over power plant greenhouse gas limits, which would have encouraged the growth of renewables. Several companies have quit the Chamber because of its stance on climate action, including one of the world’s largest, Apple Inc., in 2009. Last year, Greenpeace noted that electronic giant Intel Corp. criticized the “negative position on federal climate legislation” from the Chamber and the National Association of Manufacturers. Also last year, several Democratic senators, including climate hawk Sheldon Whitehouse of Rhode Island and liberal firebrand Elizabeth Warren of Massachusetts, released a report accusing the Chamber of being out of step with its members. “I guess it must reflect an overwhelming balance in their membership toward traditional fossil fuels,” said Whitten, who used to be a top communications aide for America’s Natural Gas Alliance. The Chamber has been bullish on the growth of gas production. Chamber of Commerce board members, according to the group’s website, include executives for oil company ConocoPhillips Co., coal company Alliance Resource Partners LP, gas company Sempra Energy and coal company Peabody Energy Corp.
Other board members include executives of nuclear company NuScale Power LLC; utility Southern Co.; Entergy Louisiana LLC; Florida Power and Light Co., which owns solar energy production; and Virginia contractor Bay Electric Co. Inc., which handles large-scale solar projects. Dudis described the chamber, under current CEO Thomas Donohue, as staking out strategies and political positions that can help the organization’s cash flow. “We have to raise $5 million a week to run this place,” Donohue told the Times in 2013. The article noted the Chamber’s precarious finances before Donohue took over in 1997. The Chamber, like the fossil fuel industry, has become more reliably Republican, critics argue, turning away from more bipartisan outreach. The group went from supporting the Clinton administration’s health care reform effort during the early 1990s to now giving its backing mostly to GOP candidates, according to a review of campaign finance records. The Center for Responsive Politics said the Chamber spent more than $100 million on lobbying in 2016, more than $300,000 in campaign contributions — only roughly $10,000 of which went for Democrats — and more than $29 million in outside political spending. The Times profile said Donohue was a registered independent. His repeated commitment to free enterprise and fewer regulations, however, puts him closer to the Republican mainstream. Karen Harbert, CEO of the Chamber’s Institute for 21st Century Energy, worked as Department of Energy assistant secretary for policy and international affairs during the George W. Bush administration. When the U.S. Green Chamber of Commerce launched in 2011, founders saw it as a chance to capitalize on what they saw as the other chamber’s reluctance to fully embrace the green agenda. “At one time, businesses that focused on sustainability and clean energy did not have a voice in traditional/mainstream business organizations and chambers,” CEO Michelle Thatcher wrote in an email. “And those traditional organizations certainly do not represent the sustainability-focused economy and the companies that are driving it,” she said. The U.S. Green Chamber, which grew out of the Green Chamber of San Diego County in California, has more than 1,000 members, Thatcher said. They include companies that focus on clean energy and large diversified corporations. A 2011 article in Fast Company identified firms like Toyota Motor Corp. and the Kimpton Hotel & Restaurant Group Inc. as being involved. The U.S. Chamber of Commerce remains much larger, claiming to represent the interests of more than 3 million businesses, according to the group’s website. Thatcher doesn’t think many of their affiliates overlap. The Solar Energy Industries Association, which supports both Republicans and Democrats and benefits from some U.S. Chamber policies but chafes at others, is remaining a member. “We are a proud member of the business community. We are increasingly becoming a part of the energy mainstream,” Whitten said. Letourneau said the Chamber’s fight for less regulation and free enterprise benefits all its members, not just fossil fuel developers. “One of the areas that is particularly relevant today is our focus on the inability to site and permit facilities of all kinds, including renewable projects, which we see as a major impediment to economic growth,” he said. Letourneau said that the Chamber’s focus on rolling back regulations affecting coal, oil and gas — the latter of which, he points out, has helped reduce carbon emissions — is because of the past administration’s anti-fossil-fuel agenda. “Over the past eight years, traditional energy sources have been under assault and seen their potential limited through federal regulations and executive orders,” he said. Still, Whitten would rather not see the Chamber take such a negative view of policies like net metering, which allows people to make money from installing solar power. Published Thursday, July 28, 2016 in Greenwire. PHILADELPHIA — Lobbyists and journalists surrounded Trevor Houser after a panel discussion on energy and the environment here this week. Houser, an adviser to Democratic presidential nominee Hillary Clinton, has been in demand at events related to the party’s national convention. He’s not only helping craft the candidate’s positions but also explaining them. “He’s a person who really gets that intersection of what can be done in government, both nationally, internationally,” Clinton campaign Chairman John Podesta said during an interview. Houser and Podesta, who used to advise President Obama on climate matters, are behind the Clinton campaign’s muscular but also practical approach to environmental policy. The campaign, for example, is open to the idea of a carbon tax — Houser prefers the more inclusive and politically palatable term “carbon price” — but is not betting on one. He calls it part of a toolbox rather than the only policy option to combat global warming. Trevor Houser. Photo courtesy of Rhodium Group. When it comes to hydraulic fracturing, which many environmentalists would like to ban, the Clinton campaign would rather talk about increased regulation. “We had a healthy debate on this topic,” said Houser. 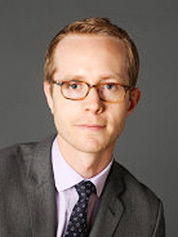 Houser is a partner at Rhodium Group LLC, a consulting firm, where he has worked for the past decade. In 2009, he joined the State Department as an adviser on international energy, climate and environmental issues when Clinton headed the agency. Podesta said Houser remained to help set the stage for last year’s Paris climate accord. “I spent a lot of time with him in Beijing” hammering out a preliminary climate agreement with China, he said. Energy lobbyists have sought out Houser this week to make sure they have a channel to the campaign and, potentially, the new administration. He’s also hearing from environmentalists, many of whom want Clinton to be more forceful in her approach. “Trevor is a smart dude. He is one of the more knowledgeable people I’ve worked with on climate change since I’ve been at the Sierra Club,” said Executive Director Michael Brune. Houser went to the City University of New York for economics and co-authored the book “Economic Risks of Climate Change: An American Prospectus.” He also helps head the Climate Impact Lab, which assesses the costs of global warming. But that doesn’t mean Houser is an activist. His task is identifying the right policy and also a viable way of achieving it under tough political circumstances. “I think he has a clear eye on what it will take to build support across the country, build political support, to advance aggressive solutions,” said Brune. Houser grew up in Wyoming, the country’s top coal-producing state, and said he went to a school that benefited from taxes on coal production. Houser this week said the Clinton campaign sent him on a tour of coal-producing communities, including in Wyoming, Ohio, Kentucky and West Virginia. His research helped the campaign develop its $30 billion plan to help revitalize coal communities. The policy menu includes investments in education and research, repurposing abandoned mine and former power plant land, building infrastructure and offering new economic tax incentives, and protecting workers. He said coal jobs would likely not return to pre-downturn conditions “despite what Donald Trump promises” because of competition from natural gas and renewables. Beyond the issues that have long made headlines, like climate and the country’s energy future, Houser said Clinton’s agenda focuses on myriad issues dealing with environmental justice. He pointed to ongoing lead pollution problems as an example. Houser said Podesta speaks about political issues in terms of friction. There wasn’t that much friction on climate during the last presidential race, he said. Published Tuesday, December 13, 2011 in Greenwire. 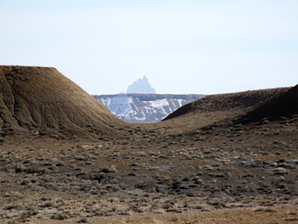 SHIPROCK, N.M. — This Navajo Nation town of 8,000 people — named for the towering rock formation that looms in the distance — is a living monument to uranium mining’s deadly legacy. At the end of Uranium Boulevard here is a 100-acre waste dump overseen by the U.S. Department of Energy. This former uranium mill — which helped build the atomic bombs that ended World War II and fueled the United States in its arms race against the Soviet Union — has dealt the Navajo homeland, or Dinétah, a particularly hard blow. The Shiprock rock formation near Shiprock, N.M.Photos by Manuel Quinones. “That legacy that we relied on has had a big burden on this nation, the Navajo Nation,” U.S. EPA Regional Administrator Jared Blumenfeld told a conference last month in Farmington, N.M., that focused on uranium cleanups. 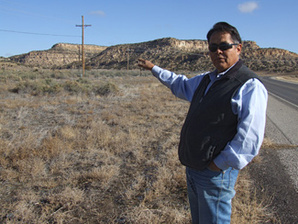 “This is where the milling took place, right here,” said Navajo anti-uranium activist Larry King, as he stood beside an isolated highway in Church Rock, a town of about 1,000 people near Gallup, N.M.
King, a former uranium miner, talks about the 1979 waste spill from the United Nuclear Corp. site that polluted Rio Puerco — the largest release of radioactive waste in U.S. history. The spill happened just a few minutes’ drive from King’s home. There, in a rugged landscape with stunning rock formations, one can see hills made from mining waste. General Electric Co., United Nuclear’s parent company, has tentatively agreed to pay $44 million for the Northeast Church Rock Mine cleanup. In her book “Yellow Dirt,” journalist Judy Pasternak, perhaps the most well-known chronicler of the Navajo fight with uranium mining pollution, describes how companies walked away from mining operations and left liability behind. With the United States desperate for uranium to build atomic weapons to compete with the Soviet Union during the Cold War, she wrote, executives and government officials — including regulators at the former Atomic Energy Commission — paid little attention to environmental damage and radiation exposure. But it wasn’t until 2007 that tribal and federal agencies got together to really tackle the lasting problems of uranium mining on the Navajo Nation. Pasternak’s articles in the Los Angeles Times prompted Rep. Henry Waxman (D-Calif.), then chairman of the House Oversight Committee, to press for immediate action. “We’re on track to make all the commitments we made in the five year plan,” Clancy Tenley, EPA’s regional tribal coordinator, told the cleanup conference. Tenley was among several federal and tribal leaders touting the achievements of the last several years. 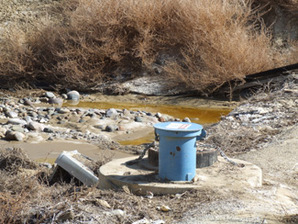 Potentially contaminated water near DOE’s Shiprock waste site. The current cleanup framework has turned decades of haphazard response into a coordinated effort. Still, it is not hard to spot fissures. Many Navajo, for example, say DOE should be playing a larger role — and spending more money — in the cleanup effort. Amid anger and a host of unresolved issues, companies are moving forward with plans to mine for uranium again near the reservation. Navajo President Shelly said executives are reaching out to him with what has become a taboo subject — new mining inside the Navajo Nation. Published Monday, January 14, 2013 in Greenwire. CHESTER, W.Va. — The ground here is leaking. Several neighbors have moved away to escape seeps coming out of the hillside. They say the leaks have dampened their backyards and infested their homes with mold. Curt and Debbie Havens, who put a trailer on their Pyramus Road lot in the mid-1970s and built their current home in 1979, are ready to pack up, too. Curt Havens shows pictures of the Little Blue coal ash dump in his living room. All photos by Manuel Quinones. 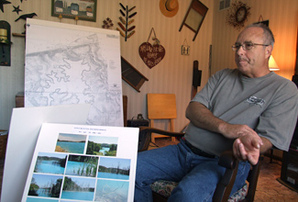 Neighbors blame the 1,700-acre Little Blue Run coal ash dump — an unlined impoundment that straddles the border with Pennsylvania and has for decades been a repository for combustion waste from FirstEnergy Corp.’s Bruce Mansfield coal power plant near Shippingport, Pa. The waste travels several miles through an underground pipe. Environmental advocates argue the dump — which neighbors say is several hundred feet deep in places and can look light sapphire blue from the sky — is emblematic of the pollution that dozens of such facilities are causing. They want U.S. EPA to force them to close. But the agency has proposed two options. One of them would treat coal ash as a hazardous waste and effectively phase out surface impoundments. The other would require companies to install liners on their ponds. Critics fear a hazardous designation and say compliant dumps should be allowed to remain. 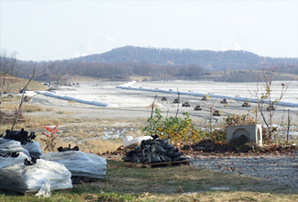 Faced with state complaints and the threat of lawsuits, FirstEnergy has agreed to stop coal ash deposits there by 2016. It has bought out several neighbors and has installed pumps in recent years to tackle the leaks. The company also says it has implemented a state-approved “water collection project” to deal with seeps in the area. But angry neighbors say more keep springing up. FirstEnergy paid to have the Havens’ house appraised in September but has yet to make an offer. For most of the family’s time here, the ash dump wasn’t that big of a deal. They hoped it would become parkland once it closed. But dreams of bike trails and picnics dissipated as Little Blue Run grew. Ironically, tougher clean air enforcement has led to the increased capture of waste produced by burning coal for electricity. Last year, plants produced more than 130 million tons of combustion residuals like gypsum and fly ash. Now, waiting for a buyout, the Havens keeps a hawk’s eye on developments. They monitor seeps, keep a diary of smells, lobby lawmakers and complain when necessary. “They’re not going to stop it. They’re wasting their time and money. Just buy us out. Quit destroying people’s lives,” said a skeptical Debbie Havens. They also are closely watching the debate over federal policy. In 2010, after the 2008 coal ash spill from a pond in Tennessee, EPA proposed two rulemaking options for dealing with coal ash dumps to prevent them from spilling and leaking. One is under Subtitle C of the Resource Conservation and Recovery Act, which would effectively treat coal ash as hazardous. The other is under Subtitle D of the act. Regulation under Subtitle C would ensure federal-state enforcement and monitoring. It would require retrofitting impoundments with liners within five years and effectively phasing out existing surface dumps. 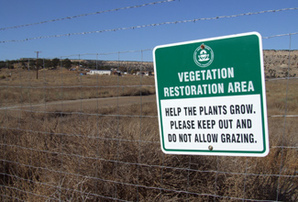 Land disposal restrictions would go into effect. Parts of the Little Blue Run impoundment are visible from nearby neighborhoods. Subtitle D, on the other hand, would rely on enforcement through states and citizen lawsuits. It would also require existing dumps to install liners or shut down, and liners would be required for new impoundments. Advocates on both sides of the issue, industry and environment, have wondered whether EPA is open to some sort of hybrid approach for regulation. For one, companies that recycle coal ash for concrete or wallboard, among other uses, have for years been objecting to the negative effects that a hazardous designation could have. In fact, some of Bruce Mansfield’s gypsum waste goes to make wallboard at a factory in the shadow of the plant’s smokestacks. Some Democrats have joined Republicans in criticizing EPA’s rulemaking because of concerns over impeding recycling. Then there are the utilities, which say either subtitle, but especially Subtitle C, would cost too much to implement. Jim Roewer, executive director of the Utility Solid Waste Activities Group, said the amount of newly labeled hazardous waste would “quickly overwhelm” the system. Adding that “there has been a trend toward dry handling, and that trend is going to continue and accelerate,” Roewer said safe and compliant ponds, lined or not, should be allowed to operate. “What we really should be looking at is the actual performance of these facilities,” he said. Many skeptics of EPA’s rulemaking, including some liberals like Sen. Tammy Baldwin (D-Wis.), have coalesced around legislation that would leave much of the regulation up to states, prohibit a hazardous designation and leave many wet ponds in place. Rep. David McKinley (R-W.Va.), the Havens’ congressman, is one of the bill’s most ardent backers. Environmentalists, who cite examples like Little Blue Run, say companies won’t do away with wet dumps unless the government forces them. “If they had a liner, it wouldn’t be seeping,” Curt Havens said. Widawsky-Hallowell said EPA could give companies compliance extensions if there is indeed enough hardship. “We are so far from legislation that could come close to protecting human health and the environment,” she said. Environmental and industry groups are suing EPA to force the agency into releasing its rules. But while EPA says it needs more time to go through public comments and study the issue, activists are taking to the courts to stop pollution from individual ponds. Earlier this month, the Southern Environmental Law Center filed a complaint in state court against North Carolina regulators for not forcing Duke Energy Corp. and Progress Energy Inc. to clean up what they see as ash-related contamination. FirstEnergy has installed pumps in Curt and Debbie Havens’ neighborhood to control seeps. Also this month, the Maryland Department of the Environment filed a settlement agreement with GenOn Energy Inc. in U.S. District Court forcing the company to pay $1.9 million in penalties and resolve contamination problems at ash dumps in the state. Little Blue Run is the highest-profile example of citizens, states and environmental groups cracking down on pollution. Last year the Pennsylvania Department of Environmental Protection, which by agreement oversees the impoundment for both Pennsylvania and West Virginia, filed a complaint against FirstEnergy in July. It followed a lawsuit threat from opponents. “The absence of a liner in the disposal area creates a potential for contaminants from the waste to move into groundwater and surface waters near the impoundment,” said the complaint. 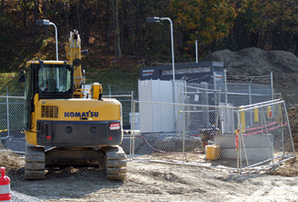 PADEP and FirstEnergy reached a settlement involving the dump’s closure. The company must present a closure plan by March 31 and stop coal ash deposits by 2016. It must also increase monitoring and immediately report new seeps. “FirstEnergy has designed and implemented a water collection project to deal with the seeps in the Lawrenceville area,” a company spokesman wrote in response to written questions. “It has been approved by the Pennsylvania Department of Environmental Protection” and also the West Virginia Department of Environmental Protection. But in December the Little Blue Run Regional Action Group, represented by the Environmental Integrity Project and Public Justice, sent the company another notice of intent (NOI) to sue. They say releases from the impoundment are dumping selenium, arsenic, boron and molybdenum into Mill Creek and the Ohio River. FirstEnergy said the outflow in question is compliant with its National Pollutant Discharge Elimination System permit and will be addressed by the closure consent decree approved in December. FirstEnergy, which will still need to deposit ash from the Bruce Mansfield plant somewhere, is working with regulators on developing a lined “state of the art” disposal site. For now, neighbors can only speculate about what goes on at Little Blue Run. Its impending closure doesn’t appear to weaken their resolve to keep fighting the company. Debbie Havens recounted an early drive through the neighborhood with her father, telling him she wanted to build a house someday on the property with “a white picket fence with kids.” She raised two sons there and has lifelong friends as neighbors. But times have changed. “Mostly every time you see a neighbor, that’s all you talk about, the damage and stuff,” she said. How Much Do Lawmakers Know?